"Am sorry for your loss Dale and family"
"Sorry for your loss, may the God of comfort be with your..."
"Dear Skip, I was sorry to hear of your mother's passing...."
"Dear Skip, I was sorry to hear of the passing of your..."
ALBION - B. Joan Genest of Albion passed away peacefully at her home on July 28, 2018, at the age of 80. She was born on Dec. 10, 1937, the daughter of William A. and Phyllis (Graf) Morrison. Joan worked at C.F. Hathaway, Keyes Fibre and finally retired from Walmart. Joan enjoyed anything to do with the outdoors from gardening to feeding and watching her birds. 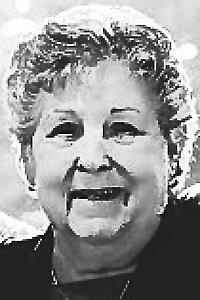 She enjoyed spending time with her family and loved attending her grandchildren's sporting events and other activities. Joan is predeceased by her parents; and sisters, Mary Vigue and Nancy Green. Joan is survived by her loving husband of 30 years, Donald (Dale); a son Darryl (Skip) Prentiss and wife Brenda; brother William Morrison; stepchildren, Paula Locke and husband Tim, Dawn Marin, Karen Hilton, Todd Genest and wife Sherry; brothers-in- law, Mervin Green, Bob (Jeaninne) Mike (Peggy) Genest; sisters-in-laws, Paula (Don) Carter and Cheryl (Steve) Mitchell; nine grandchildren; seven great-grandchildren; and many nieces and nephews. Joan's family would like to give special thanks to the MaineGeneral's hospice nurses and care takers for being so supportive. A Mass of Christian Burial will be celebrated at 9:00 a.m. on Wednesday, August 8, 2018, at Notre Dame Catholic Church, 116 Silver St., Waterville, followed by a burial that will be held in the McClintock Cemetery, Nowell Road, Winslow.